Troy Lightfoot joins Dave Prior to respond to a recurring student question “How can I track the performance of a ScrumMaster using metrics which are different form the ones I use to track the performance of the team?” Using the LeanAgile Intelligence tool he co-authored, Troy walks Dave through a few options that can be used to collect data that could provide clarity on performance of an individual ScrumMaster. Summary: You don’t have to be a developer to use Test Driven Development and Mob Programming. Last week on Twitch Amitai Schlier & Troy Lightfoot led Dave Prior and Rachel Gertz (neither of who can program) through an exercise in remote pairing with TDD. If you come from a PM background, you’ve probably heard developers talk about Test Driven Development and you may even get the basic idea behind it - build the test to prove something works, then build the thing that passes the test. You may also have heard about Mob Programming - the set of practices put together by Woody Zuill that takes the idea of pairing and extends it to the whole team. In mobbing, an entire team builds everything together. They share one keyboard and rotate the person typing at timed intervals. This allows them to develop cross-functionality, to learn from each other and, basically, QA as they go. These are both topics I’ve been interested in for awhile, but I’ve never had an opportunity arise that gave me a chance to actually try them. Troy Lightfoot, from Agile Uprising set up a TDD & Mobbing workshop in Twitch. Myself and Rachel Gertz from Louder Than Ten were guided by Amitai Schleier, the creator of Agile in 3 Minutes Podcast and Schmonz.com, who led us through an exercise in remote mobbing using TDD. The entire experience was a blast and I’ve developed a new found appreciation for the entire though process and discipline that goes into using Test Driven Development and trying to mob with a team. I’d encourage you to check out the video on your own, or with your team and maybe even try to replicate the experiment. I think this would work great as a team building exercise as well. Most of the time I felt like I was playing a board game with a bunch of friends. 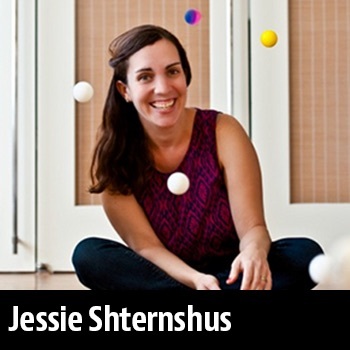 Jessie Shternshus is the founder of The Improv Effect and the author of “CTRL SHIFT: 50 Games for 50 ****ing Days Like Today”. In her work, Jessie often incorporates improv techniques to help people tap into the things they need to become better communicators, team members and leaders. She also coaches organizations through Agile transition and cultural change. After recently completing my first improv class, and not feeling very confident that I “got it”, I had lots of questions. Jessie was kind enough to spend some time talking with me about my experience, the benefits improv can provide, what “yes, and…” really means, why it is important and the elements needed to create a safe space where people can thrive and be creative. 26:18 What if you can’t let go of everything and reach that childlike state? There are lots of podcasts about Agile out there and each of them has something valuable to offer to the community. But a few weeks ago, a new kind of Agile podcast launched. John Le Drew is the creator of “The Agile Path”, a long form NPR style podcast… (think Serial for Agile). In this interview, John shares the story of how he ended up working on the podcast, what it was like creating it, some of his current projects as well as details about the process he follows in creating the podcasts and his favorite gear. If you are interested in podcasting, block out some time for this one, there is a lot of valuable stuff in here. Scrum Alliance Interim CEO Lisa Hershman shared some time at the 2017 Scrum Gathering in San Diego to talk about the top initiatives being worked on at the Scrum Alliance, including their partnership with Large Scale Scrum, changes to the certification programs and more. Making the transition to Agile is never easy for PMP’s. Once you re-wire your brain to think like a PM, letting go of all of that you have learned, and accepting a completely different way of working presents a lot of challenges. A big part of what I try to do with these podcasts is to share stories of those who have successfully made the switch and what that transformation was like. At the Scrum Gathering in San Diego a few weeks ago I got the chance to sit down with someone I’ve been hoping to interview about this topic for a long time. Gene Bounds is the Chair of the Scrum Alliance Board of Directors. He is ALSO the former Chair of PMI. 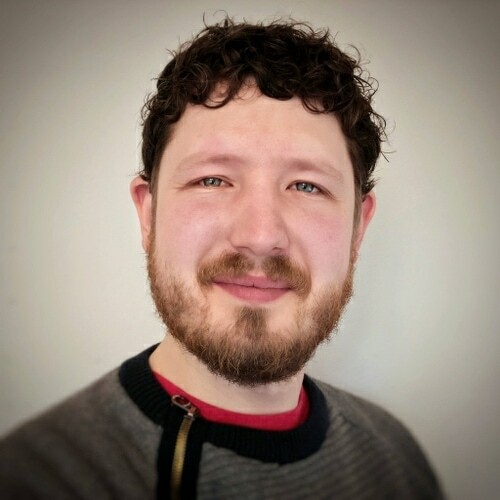 He comes from a background that is deeply steeped in the traditional space working on government projects, to someone who is now deeply invested in helping to grow the Agile community and change the world of work. Because Gene has dedicated so much of his life to being in the service of others, first in the United States Air Force, then volunteering for PMI for many years, and now working with the Scrum Alliance, we also took some time in the interview to talk about the benefits that come from investing all that time volunteering.